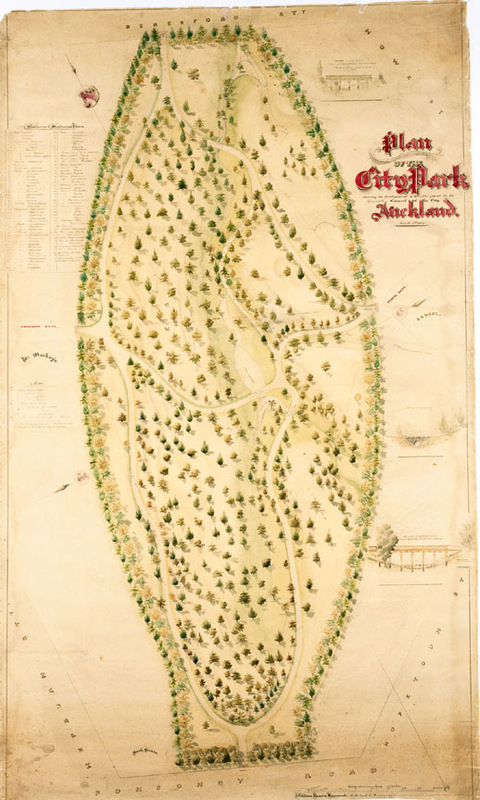 Originally known as City Park, Western Park in Freeman's Bay is one of Auckland's oldest civic amenities. 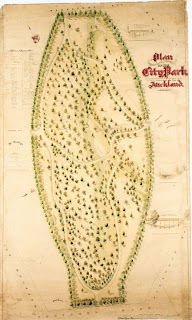 When Governor William Hobson selected Auckland as the capital of the new colony in 1840, he set aside 75 hectares around an extinct volcano cone as the Auckland Domain. 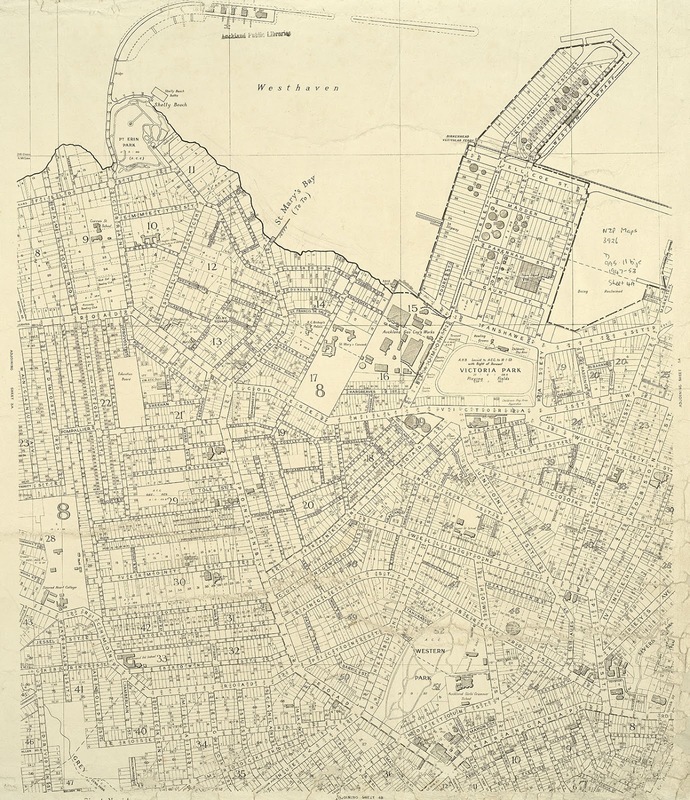 The seat of government moved to Wellington in 1865, but Auckland continued to grow steadily. 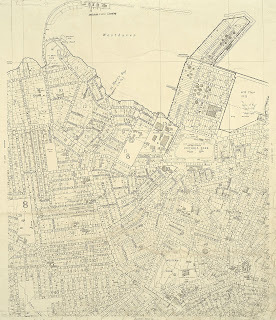 In 1873, having decided that the burgeoning populace required another reserve on the western side of town, the city councillors organised a contest with a prize of ten guineas for the best design transforming an eight-hectare site off Ponsonby Road, formerly used as a rubbish dump, into parkland. There were eleven entries. The winning design came from architect and surveyor William Francis Hammond and orchardist and gardener J. C. Blackmore, which can be seen above. The City Park Committee reported in 1874 that they ‘had caused upwards of 1100 deciduous and coniferous trees of the choicest kind to be planted in the park’ at a cost of £200. Unfortunately, however, the bridges, rocks and water features envisaged by Hammond were deemed too expensive to construct. In recent years, the park has undergone a major upgrade, but many of the original trees are still flourishing. Many of these trees are of particular historic value and are recorded in the New Zealand Tree Register.